"We're seeing younger kids think about suicide and part of that is, is that they are exposed to social media, they are watching stuff on TV." As alarming as the Suicide Prevention Network’s latest numbers are, the actual number of suicide deaths is likely higher. A 2018 audit by the Tennessee Comptroller’s Office shows that about one in five county medical examiners are failing to report deaths in a timely fashion. On the plus side, Tennessee this year joined the National Violent Death Reporting Network administered by the Centers for Disease Control. Deputy State Chief Medical Examiner Adele Lewis says CDC grants are helping Tennessee get a clearer picture of its suicide problem. 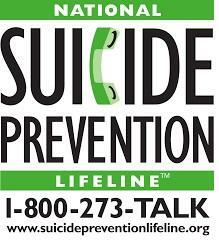 Suicide warning signs include withdrawing from friends and family, changes in behavior, giving personal items away, showing despair or rage, and talking about death. EDITOR'S NOTE: This story reported in partnership with the Tennessee News Service.